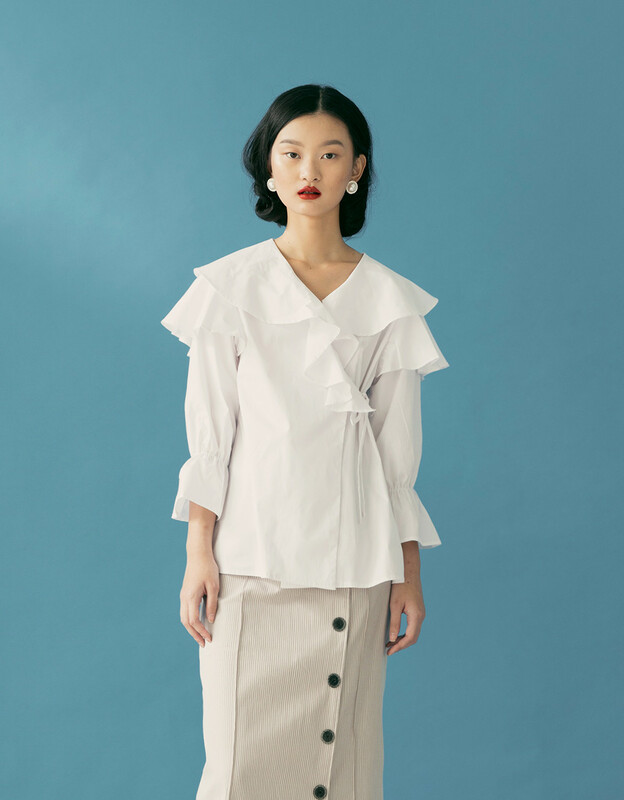 Our Brissa White Top is Loose-fitting top with unique cutting and details. 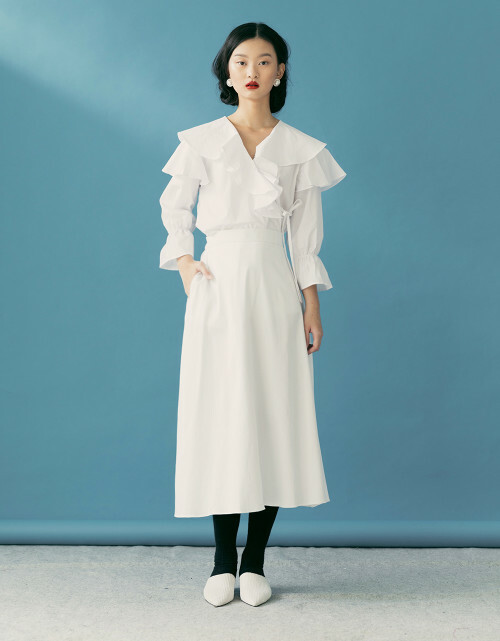 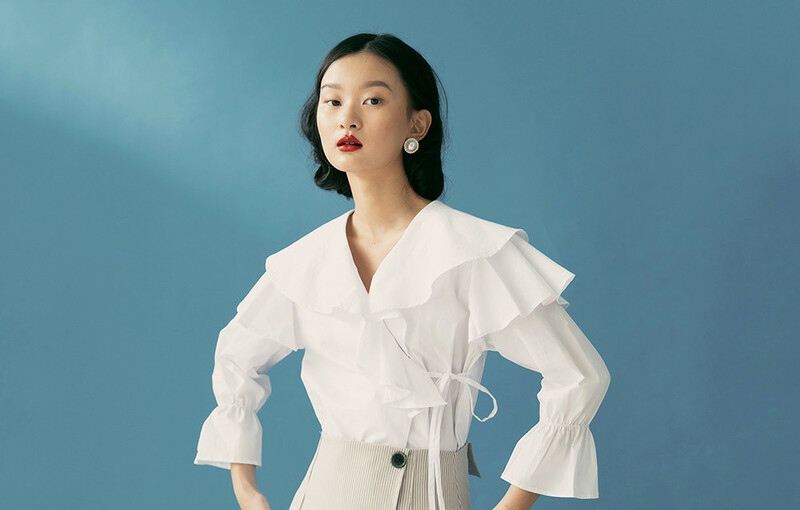 Featuring ruffle trims and long sleeves. 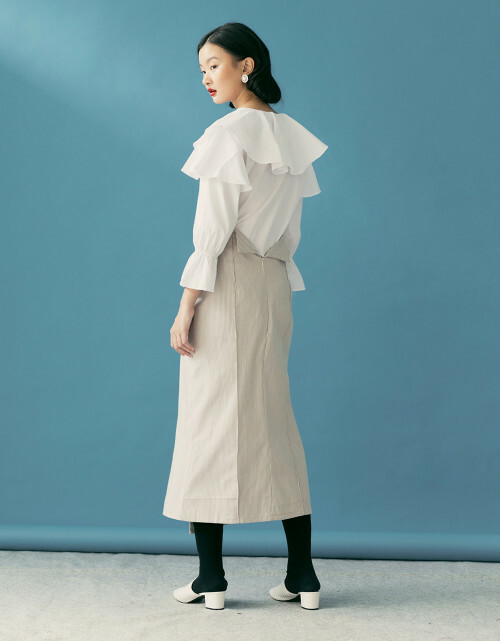 Paired withour Rayya Skirt to get this look.